Nisbets Catering Equipment Blog - Industry news, trends, recipes and more! : Football is back! Here's how your business can make the most of it. Football is back! Here's how your business can make the most of it. With the great weather finally here and football on the TV every evening, your pub or bar is probably going to get a little busier this summer! International football tournaments bring everyone together, even people without an interest in the sport. 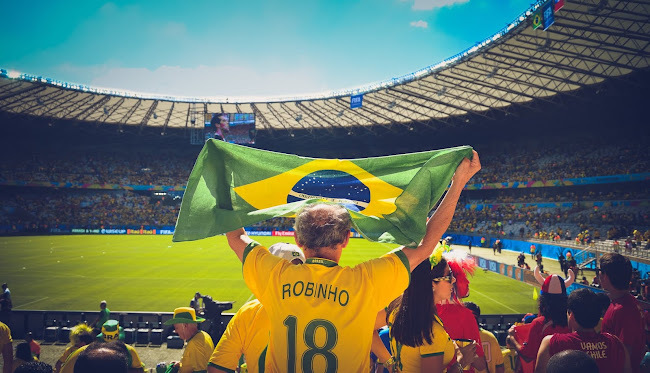 The world cup is an extremely sociable event and the fear of missing out (FOMO) sensation will be strong - everyone will be getting together to support their nation and feel part of it. A massive 11.62 million people in the UK watched the final of Euro 2016. The demand for somewhere nice to watch the game is there, so make sure your business is the ultimate destination as football fever sweeps the nation. World flags, foreign cuisines, offers on beer during games will help to give a carnival atmosphere. This tournament only comes around every 4 years, people want it to be memorable! England fans are estimated to consume an extra 14 million pints of lager during the group stages of the world cup, so this is your chance to cash in! You should ensure your set up is geared to creating an enjoyable viewing experience. Large TV screens, unobstructed views, good sound and ultra HD picture is what your customers are looking for. For the bigger games, ensure there are extra staff to cope with demand. No-one wants to miss 15 minutes of the second half because they were stuck at the bar since half time! And don't forget to use chalkboards outside your business to tempt people inside. Let them know you're showing the game, your menu, what drinks you serve and what offers you might have. Providing they are successful in group, there will be more fixtures. Opening game: Russia v Saudi Arabia (4pm - Thursday, June 14). Not exactly the most mouthwatering of fixtures, but the first game is always a big deal. Russia are the host nation and they will no doubt put on a grand opening ceremony. The big one: Portugal v Spain (7pm - Friday, June 15). Kicking off at the peak time of 7pm on Friday night, the reigning European champions meet the former European and world champions. Featuring famous stars like Cristiano Ronaldo, this game will attract the casual viewer and you can expect to be busy! If you serve Spanish and continental lager like San Miguel, Estrella or Mahou, you should promote its heritage and connection to the game to push sales. These are premium lagers which command a higher fee, boosting your bottom line. A special tapas offering could tempt customers during Spanish games as they feel in the fiesta mood. Remember to stock up on polystyrene glasses to boost safety when it gets busy. Ensure you have a TV licence to broadcast games, as well as a license to serve alcohol. If there is living accommodation on the premises where a TV is in use, you need a separate license. Contact TV Licensing if you need more information. What are the demographics in your area? Is there a significant Polish population, for example? If so why not get in a special order of that region's alcohol and play to that market (Tyskie is a Polish brand that has strong sales in the UK). Advertise when those national teams are playing and make a splash on social media about the drinks you've ordered in - this will draw in the crowds, playing to their heritage and giving them the sweet taste of home! In a recent Nisbets pulse survey, a massive 81% of our customers felt they have more success with Facebook than any other social media platform. Therefore you should use this to drive business your way. Post photos of your TV screens and attractive seating areas, decorations and any food or drink offers you have to pique customer interest. If you have an outdoor space, consider setting up big screen TVs to show the games - although be wary of noise pollution, you don't want to anger the neighbours. 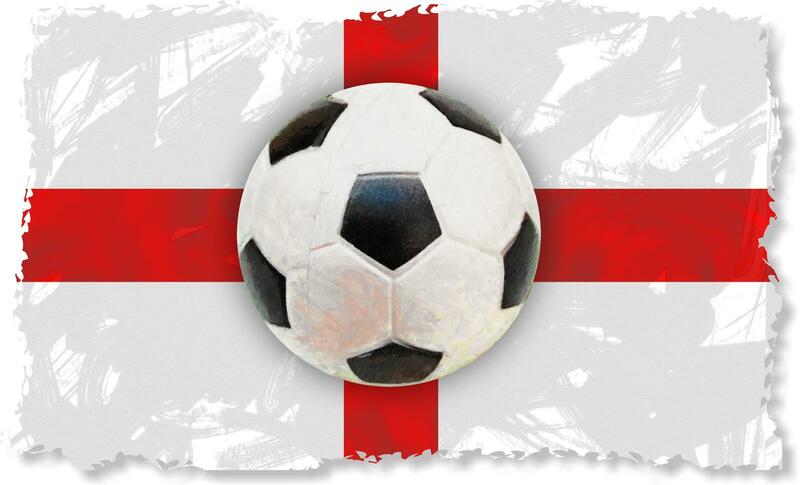 Consider distributing literature in the immediate local area to give them warning you're showing the games outdoors (this may also encourage them to visit!). Communication is key to good relationships with your neighbours, so tell them they're free to contact you if things get a little too loud. By not limiting yourself to your indoor area you'll increase capacity and boost sales, but crucially you'll appeal to those who simply don't want to be inside. Dog-friendly venues are also increasingly popular nowadays, so you'll capture more of the market if you welcome pooches and their humans. This will also help keep people in great spirits all evening, afterall who doesn't smile when they see a dog?! And because we're ever the optimists here at Nisbets, check out our champagne buckets and champagne glasses in case the Three Lions finally roar to victory!